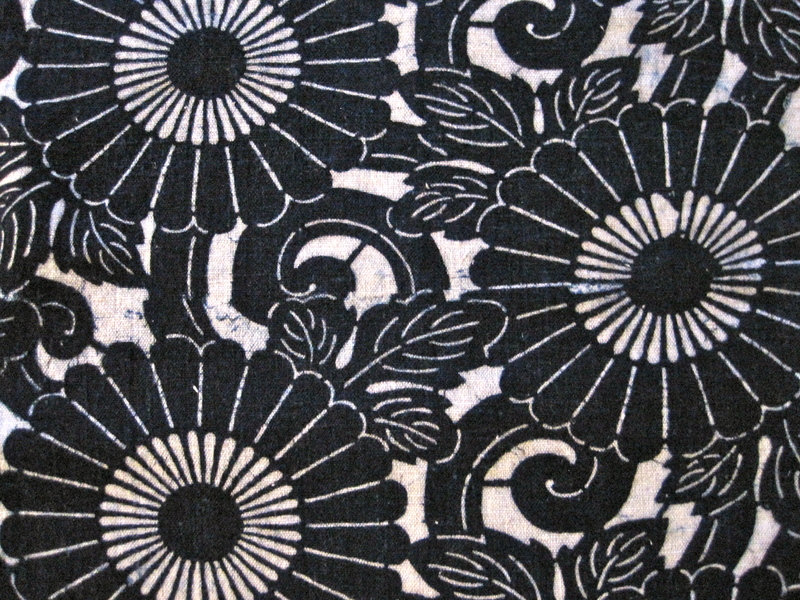 I like this early Meiji katazome for its bold design of chrysanthemum flowers and its beautiful hand spun texture. 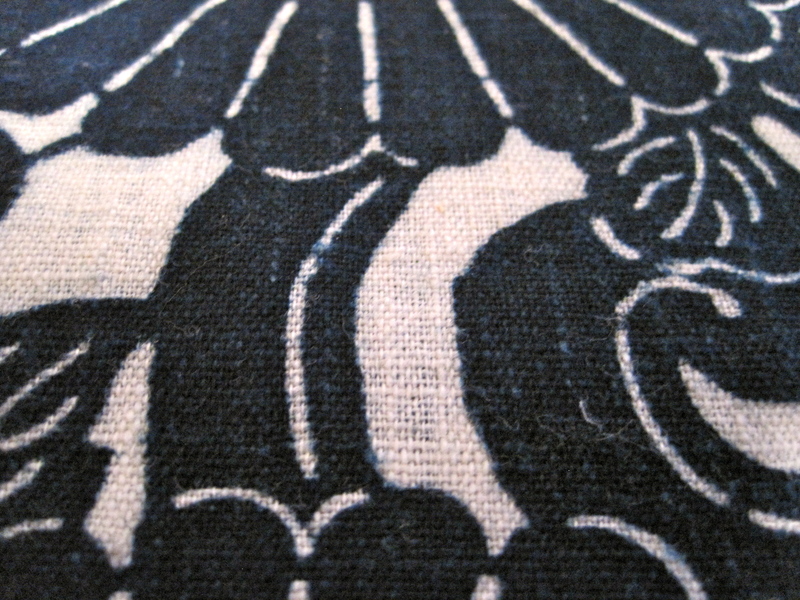 I also think its really amazing how strong the indigo remains after over 120 years. This design tells a lot about how katazome designs were created. 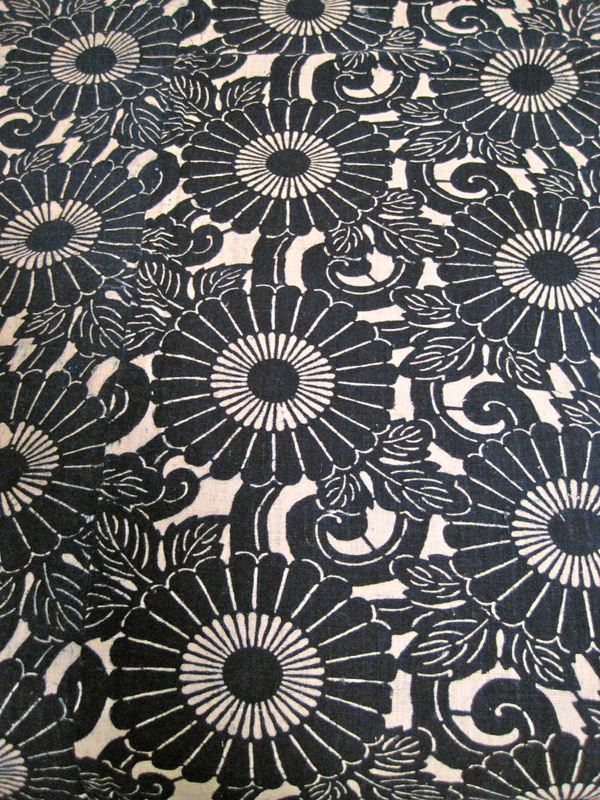 You can clearly see the small connecting lines in the design that were made by small pieces of the original paper stencil. 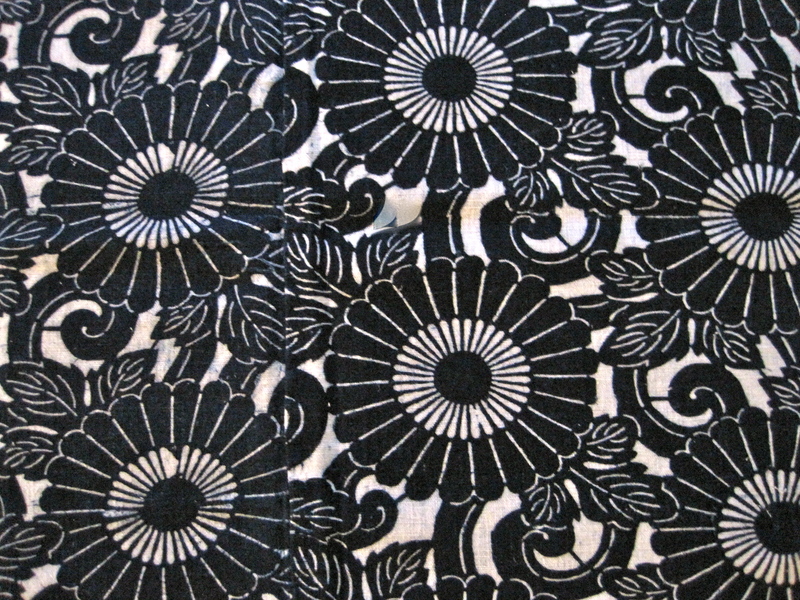 These small connecting lines helped hold the stencil together when an artisan was pushing rice paste through the stencil to deposit the resist. This second photo also shows the spot where the stencil was overlapped to create one continuous design.